What class you play at EU? Mc or Elf? Thank you game. 32nd run and my drop is this !!!!!!! 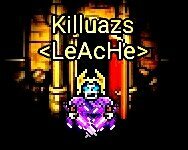 New Drops in Dungeons and New Mcoin Item ! I suggest to make dungeons more worthable to spam. How about adds few new items drop from DG Here my Suggestion: For Dungeons Hard-Heroic mode new drop: - Superior Elixir of Unity (Effect: +200% Guild Points for 2h) Rare Drop. - Superior Elixir of Knowledge (Effect: +200% EXP for 12h) Rare Drop. - Superior Elixir of Gladiator (Effect: +200% Arena Points for 1h) Rare Drop. U can only get those items from Dungeons, not from mcoin shop or other places.. Which make Dungeons more profitable and worth to spam. and Add new mcoins item on mcoin shop: - Seeker Loot's Potion (Effect: Gain 1 more randoms item [Of course including the Equipments] when we take Chest after finished DG] Durations: 2h.) - Seeker Luck Potion (Effect: Increase drop rate for 100% Duration: 2h) I'm sure people would love to use it considered if double drop rate events.. If anyone have ideas what to adds feel free to post below.